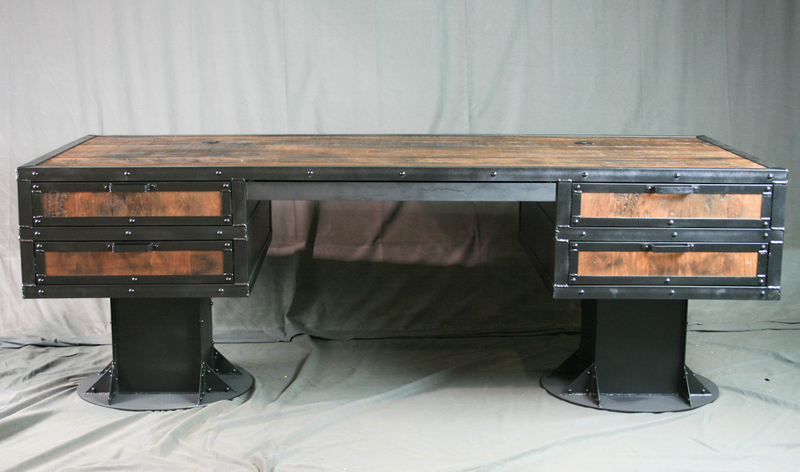 This vintage industrial computer desk is perfect for the executive or techie looking to integrate all of their computer hardware into a stylish and classic modern industrial design. 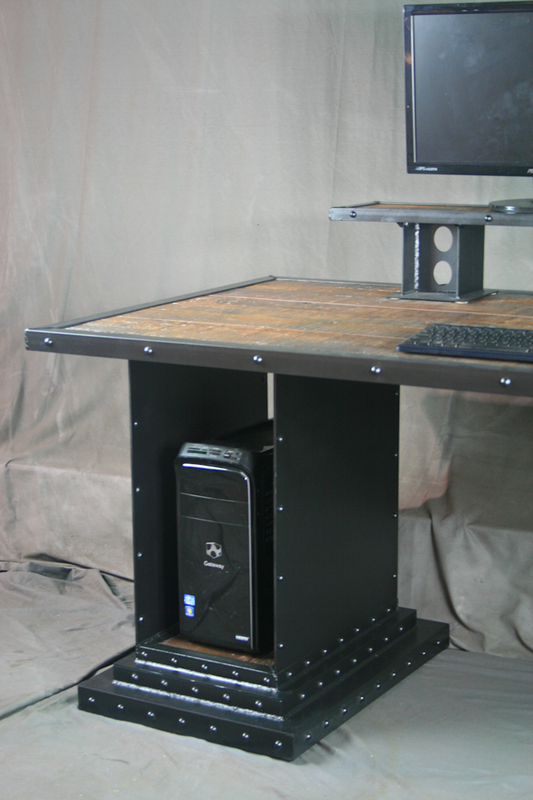 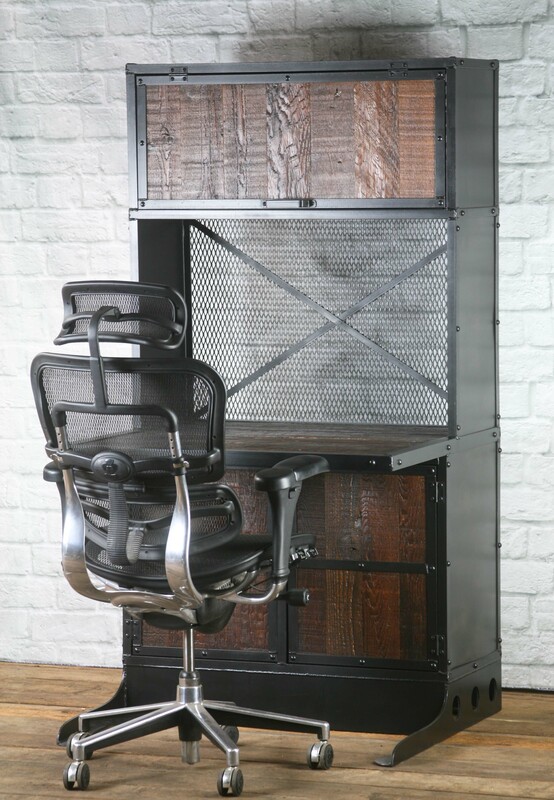 We have altered our girder base design to accommodate the storage of computer towers within the riveted steel and reclaimed wood bases. 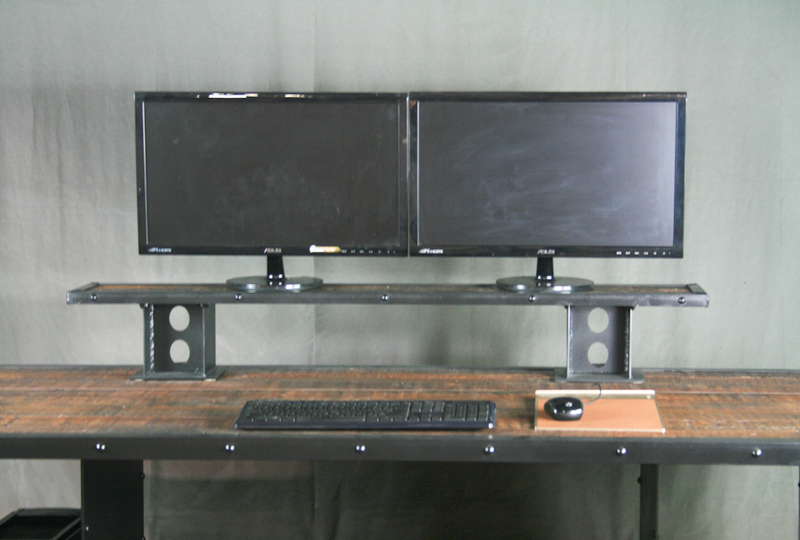 The addition of a monitor stand to the top allows for the use of two computer screens without limiting the user’s workspace. 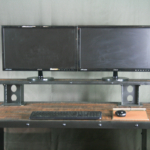 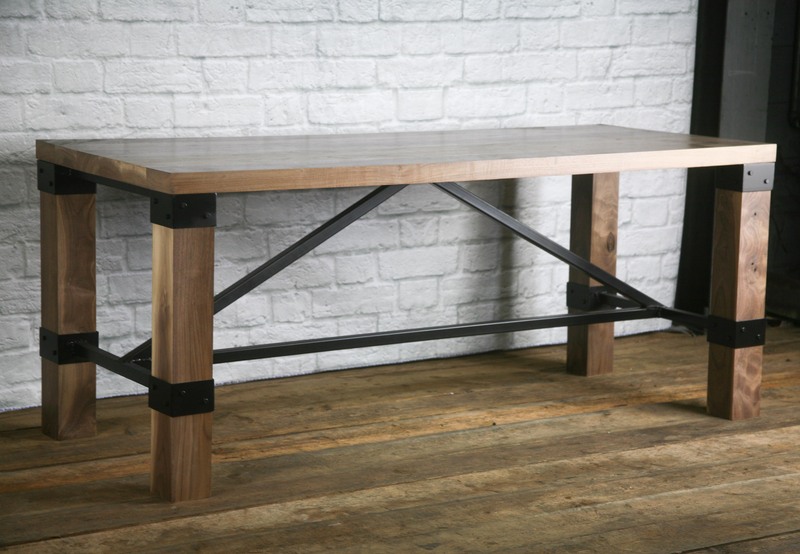 The dimensions of the industrial monitor stand and bases can be altered to fit your individual needs, and the reclaimed wood can be made in any of our beautiful wood finishes. 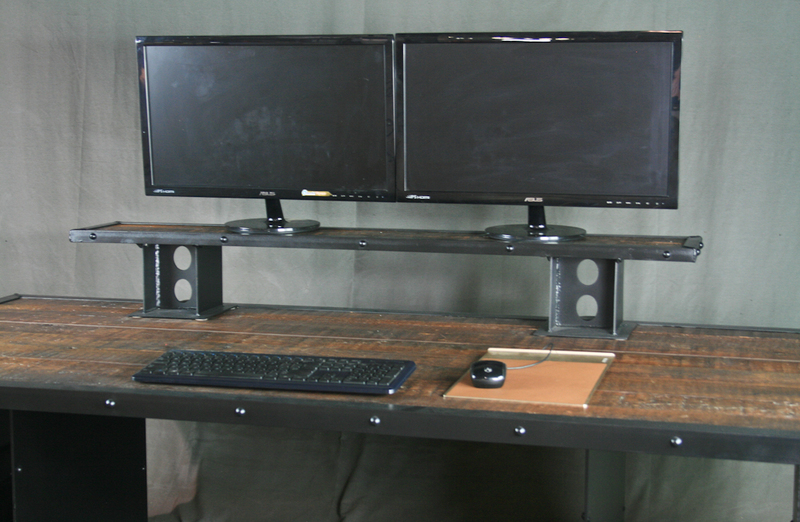 This modern industrial desk can be completely customized in any dimension or configuration you desire. 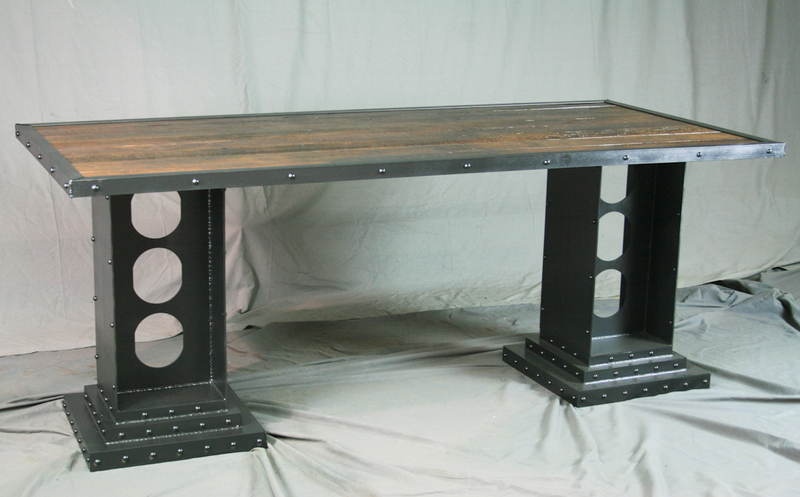 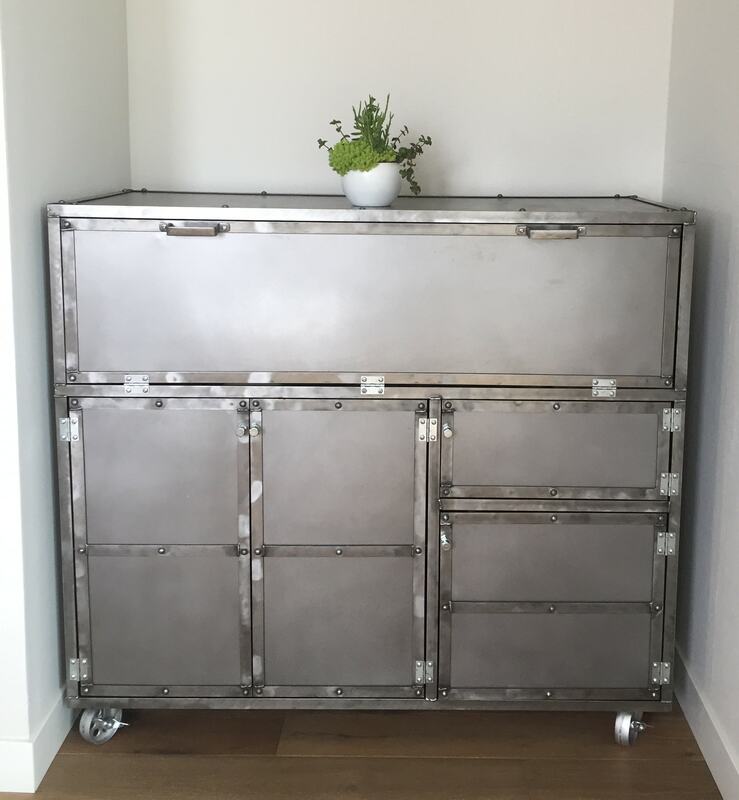 Shelves, doors, drawers, and decorative panels can be added to the riveted industrial platform bases. 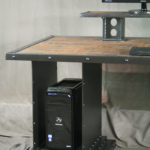 The monitor stand can be moved, enlarged, divided, or L-shaped to accommodate more monitors or for use in different applications. 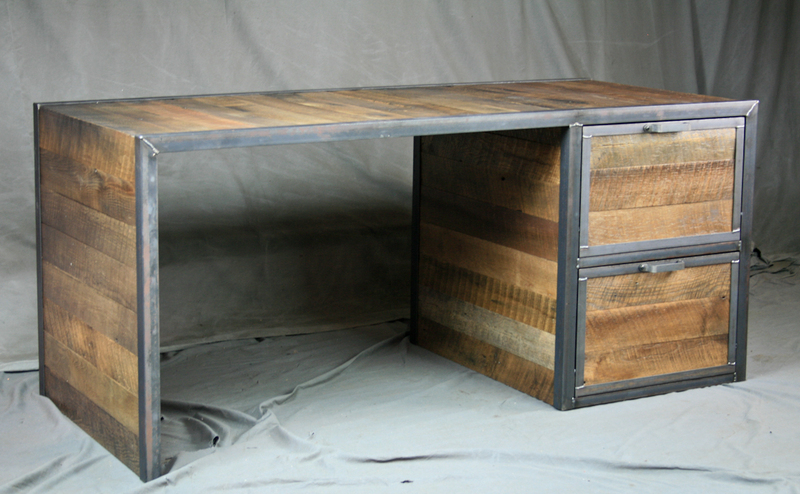 For a sleeker modern computer desk, the steel on this piece can be made without rivets and painted in the color of your choice. 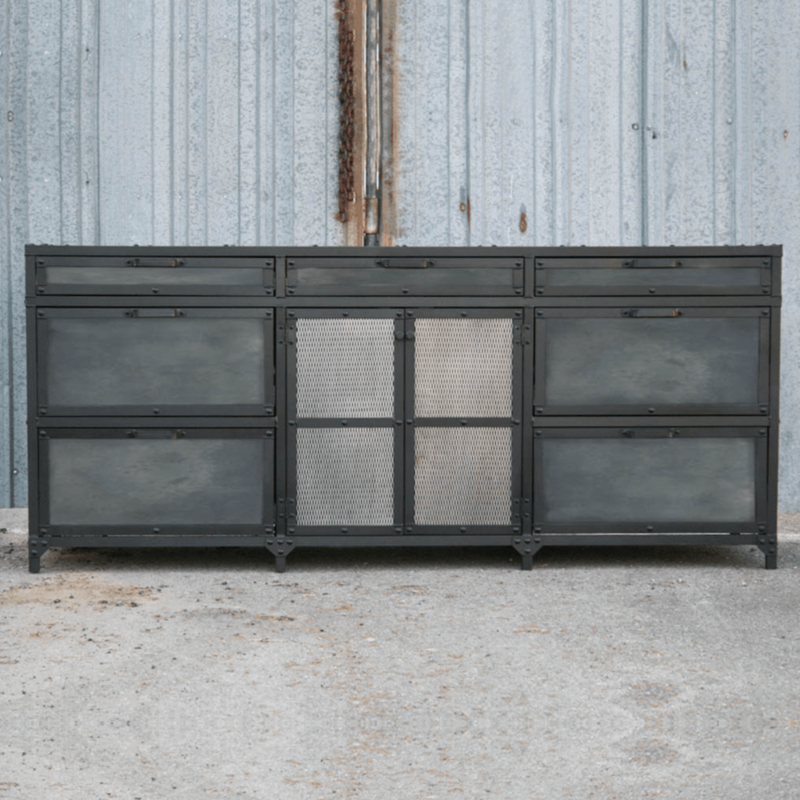 Dimensions: 72″W x 34.5″D x 30″H (to work surface). 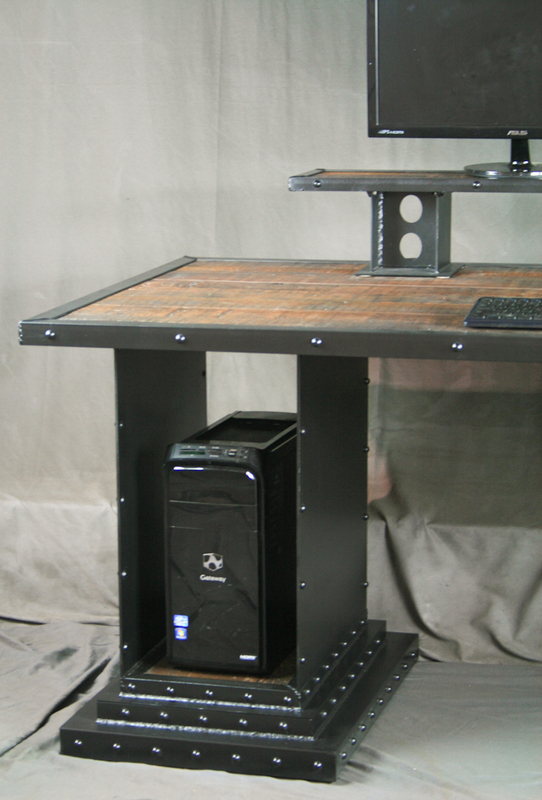 The monitor stand is 50″W x 8″D and sits 6″ above the desktop. 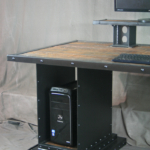 The open area of the bases are 12″W x 20″D x 22″H (each). 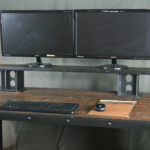 NOTE: This desk can be built without the riser for $2300.00.